Was browsing on Amazon and came across a whole range of Jewellery created for the Blue Cross Animal Charity. There are various designs and sizes of sterlng silver lockets available, a sterling silver paw print design ring, sterling silver charms,sterling silver cross necklace and 9 carat gold lockets. A donation from each sale will go towards helping The Blue Cross's essential work. Just in case anyone is wondering whether the Blue Cross would get a bigger donation if the jewellery was purchased from them directly unfortunately it appears that they do not stock most of it themselves...could only find 1 locket and a couple of other pieces available. 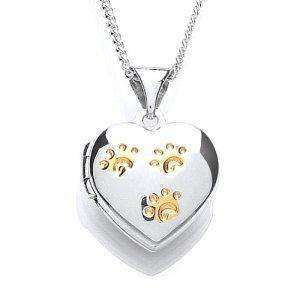 Ideal gifts for animal lovers and seem quite a reasonable price for Sterling Silver and 9 Carat Gold Jewellery. Sorry for the long-winded description but finding it very difficult to put all the items into 1 posting rather than listing individually. Will try and put links to the items in first post...oh one other thing some of the jewellery is listed as temporarily out of stock but is still available to order.